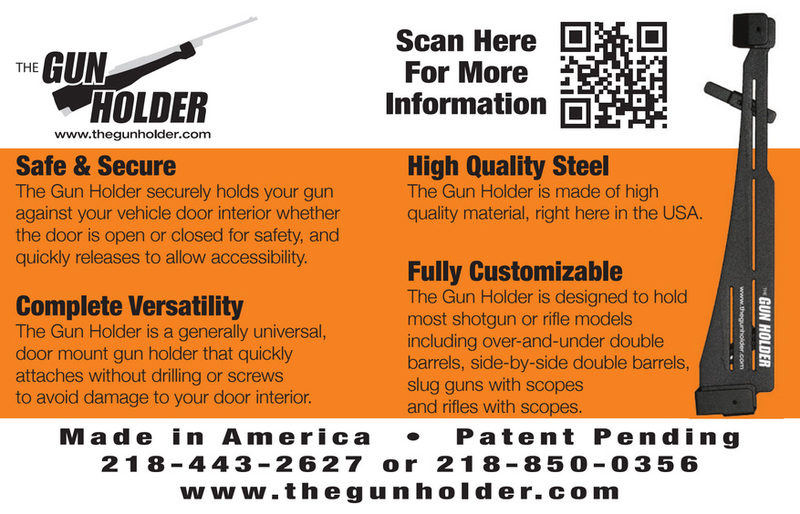 What size rifle or shotgun will The Gun Holder secure? The Gun Holder is designed to be generally universal for most rifles and shotguns, but may not fill all based on barrel length, sock configuration, etc. How does The Gun Holder actually work? The gun rests in a barrel up position in an upper and lower cradle and is secured to The Gun Holder using a velcro strap. Is The Gun Holder legal in all States? Every state has different laws that regulate the transport of firearms therefore legal use of The Gun Holder will vary depending on location. Is The Gun Holder hard to install? No, it is quickly adjusted by moving the upper and lower brackets to fit the door handle and map pocket and then secured with either a velcro strap or easy adjust bracket. There is no drilling or screwing The Gun Holder eliminating damage to a vehicle door. Does The Gun Holder work on driver's doors only? No, it is easily adaptable to either driver or passenger doors by reversing and changing brackets to fit the passenger side also. What colors does The Gun Holder come in? The standard color is a matte black, rubber coated finish. Other colors are available by special order and for an additional cost. Are there different adaptations of The Gun Holder? Yes, while the main Gun Holder is standard there are different options for the forearm holder depending on the type of gun you're using and the mounting brackets depending on the type of vehicle you're using The Gun Holder in. What comes with The Gun Holder when I order it?